Vernon and his guests discuss the evolution of housing cooperatives in Washington, D.C., the prospect of forming a federation of limited equity housing cooperatives, and the role cooperatives play in improving the quality of life for its participants. Ajowa Nzinga Ifateyo has been a co-editor of Grassroots Economic Organizing, (GEO) for more than 10 years. GEO, a 30-year-old publication, reports on cooperative developments around the world, and provides advocacy for alternative economic solutions. Her work with GEO has inspired her to research and think about ways to empower individuals to make personal changes to better organize and participate in cooperative/group entrepreneurial enterprises. Ajowa has nine years of experience on cooperative boards, including: Ujamaa Collective, the U.S. Federation of Worker Cooperatives, and the Eastern Conference on Workplace Development. In 2000, she and four other D.C. residents co-founded an affordable housing co-op for community organizers, the Ella Jo Baker Intentional Community Cooperative, in Washington, DC, where she served as treasurer and secretary-treasurer for about six years. Presently, Ajowa is researching how to effectively incorporate spirituality in the work of organizing co-ops. Amanda Huron is an Assistant Professor of Interdisciplinary Social Sciences in the Department of Political Science, History, and Global Studies at the University of the District of Columbia. 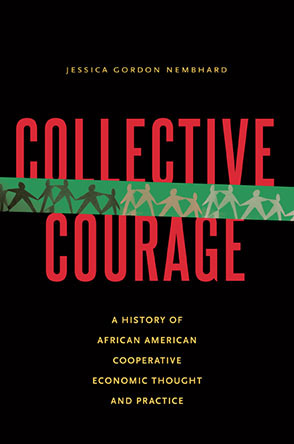 She has conducted extensive research on cooperatives, and written several articles on the subject, including Creating a Commons in the Capital: The Emergence of Limited-Equity Housing Cooperatives in Washington, D.C. (Washington History, Fall 2014).